Tottenham Hotspur manager Harry Redknapp says there has been no contact between himself and Chelsea, despite reports that he is a potential target for Roman Abramovich in the summer. It was reported at the weekend that Redknapp’s success in taking Spurs to the quarter-finals of the Champions League, where they were defeated 5-0 on aggregate by Real Madrid, had impressed the Stamford Bridge hierarchy. Chelsea could be searching for a new manager with the club destined to end the season without a trophy. It has been reported it is all but certain that Carlo Ancelotti will leave the club, despite winning the Double last season. 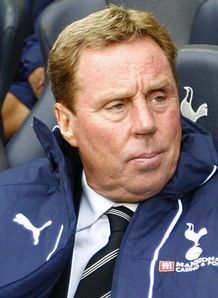 However, Redknapp has dismissed suggestions that he could leave White Hart Lane for West London at the end of the season. Redknapp has also settled speculation over the future of goalkeeper Heurelho Gomes, who was guilty of two glaring errors to allow Cristiano Ronaldo to score in both legs of the Champions League defeat to Real. Though the Brazilian has displayed a capacity for making such mistakes, Gomes has also excelled on occasion and Redknapp has no desire to replace him. “No. No chance. I’ve never ever thought about getting rid of him,” he said. “I’ve got no problems with Gomes. He’s a fantastic goalie and what he needs now is support. He’s made one mistake and he needs support. It’s no good people having a go. “The one thing he doesn’t need is what he had when I first got here. He’d make a save and everyone would cheer and stuff. He doesn’t need that.